Dearne Valley College (DVC) could join with the RNN Group - which is made up of Rotherham and North Nottinghamshire Colleges - following the completion of a Government review into post-16 education and training across the Sheffield city region (SCR). The SCR became the first locally led part of the country to complete its Area Based Review (ABR) which the local enterprise partnership (LEP) said "sends a clear signal to Government that the SCR's local leaders and FE Colleges are at the head of the pack when it comes to working together to make decisions that impact on its economy and jobs." The review started in late 2015 and makes eight recommendations which includes proposed mergers for some colleges and a collaborative approach for apprenticeship delivery with some colleges in the city region. For Rotherham, the ABR recommends that Dearne Valley College should join forces with the RNN Group and that Thomas Rotherham College should explore joining a multi academy trust. 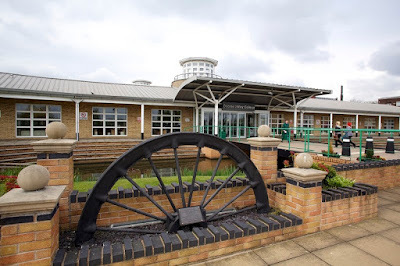 Established in 1976, DVC has its main campus in Manvers and specialises in vocational training and apprenticeships. The RNN Group was created in February 2016, and is the new organisation that combines North Notts College with Rotherham College of Arts and Technology (RCAT). In 2012, DVC and RCAT decided to collaborate on areas including joint curriculum development and joint employer engagement activity, together with co-operation over staff recruitment. At the time, the institutions moved quickly to state that the move was not a merger. John Connolly, chief executive of the RNN Group, told FE Week that the proposed merger with Dearne Valley College was a "good solution for the area." He told the publication: "The colleges are adjoining catchments – there"s a bit of overlap between us – and it creates some good opportunities for specialisation and to maintain the breadth of the curriculum that we’ve currently got." As part of devolution negotiations with the Government, the SCR asked for joint influence over the use of funding for 16-18 year olds, co-commissioning programmes with Government agencies deployed through an outcome based agreement, ensuring the young people leave school with the skills they need to make an impact in the city region economy. The 19+ adult skills budget is set to be devolved from 2018/19. Nigel Brewster, vice chair of the Sheffield City Region LEP, chaired the City Region's Area Based Review. He said, "We are delighted with the outcome of the Area Based Review and it has been really impressive how partners have joined together to make proposals that have learners and businesses at their heart. This puts our City Region in a strong position by ensuring that our Further Education sector can deliver the best outcomes for residents, businesses and ultimately the economic growth that our City Region is striving to achieve." Sir David Collins, FE Commissioner, added: "It is excellent news that Sheffield City Region has successfully concluded its Area Based Review and I am very pleased that the institutions involved all contributed so positively to the process. The Sheffield City Region's partnership approach to this important work is very welcome and sets a precedent which other areas will be eager to follow. This review means that FE institutions will shape a stronger and more sustainable future for learners and businesses in the area." Proposals are being progressed for a £12m Higher Education (HE) campus to be built in Rotherham town centre. The council-owned site on Doncaster Gate was controversially cleared, demolishing a former Victorian hospital. It could accommodate a 44,000 sq ft campus - enough space to eventually house 1,000 students. The aim is to be open for the 2017/18 academic year.